The “Lorax” Is Coming To BluRay! The Lorax, the hit animated adaptation of Dr Seuss’ classic story, is arriving on BluRay and DVD on August 7th, 2012. The flick comes in 3D BluRay, standard Blu, and DVD. Each edition is packed with special features that kids and adults will love. We’ll have a full review of the BluRay when it’s closer to release. There are currently 1 Comment on The “Lorax” Is Coming To BluRay!. Perhaps you would like to add one of your own? 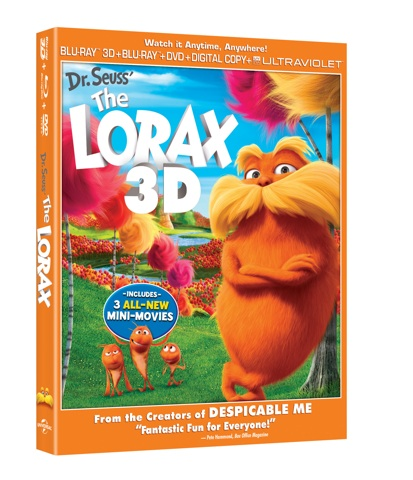 Movie Vine / Movies / The “Lorax” Is Coming To BluRay!